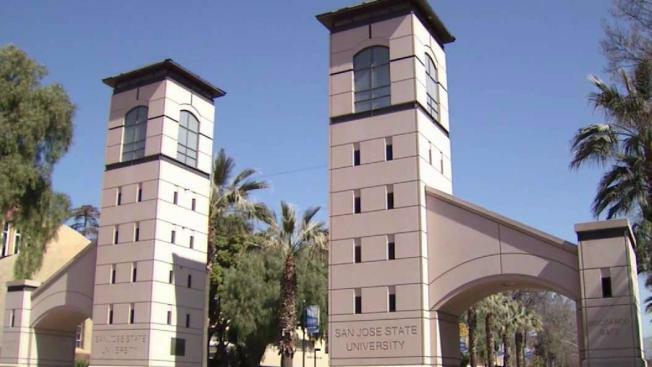 A San Jose State University student who claimed she was abducted by a knife-wielding man and forced to drive him to Oregon admitted Tuesday she fabricated the entire incident, police said. The 22-year-old woman's story prompted a police investigation in San Jose and in Oregon. San Jose police detectives on Tuesday interviewed the student. "During the interview, the victim recanted the allegations and stated she fabricated the entire incident," police said in a statement. "The community is not at risk, and no suspects are wanted in connection with this investigation." Police in two states are investigating a San Jose State University student’s claim that a knife-wielding man abducted her and forced her to drive him nearly 560 miles north to Oregon. Peggy Bunker reports. The woman initially said a suspect she did not know kidnapped her late Thursday from her off-campus apartment complex, according to the Coos County Sheriff's Office in Oregon. Investigators said the woman claimed the suspect then took her north on Highway 101 through Eureka into Oregon, and then through Brookings and Gold Beach to Bandon. The woman then told authorities she managed to escape and flagged down a passing motorist. The Coos County Sheriff's Office, with help from Bandon police, found the woman and located her car. Student on campus Tuesday were both releived and puzzled by the turn of events. "This campus is a community and for all of us to stick together, so I feel like everyone felt that hurt," said graduate student Meha Gupta. "Then when it turned out not to be true, everyone felt a little betrayed." San Jose police, who are leading the investigation, did not know about the incident until they were contacted by sheriff's deputies. It was not clear whether the woman would be charged with a crime.